Few mudflats are more important! For shorebirds like Bar-tailed Godwits, Black-bellied Plovers, and Dunlin, mud matters. Few mudflats are more important than those of the Yellow Sea along the coast of China, and North and South Korea, where more than 70 species of shorebirds rest and feed. 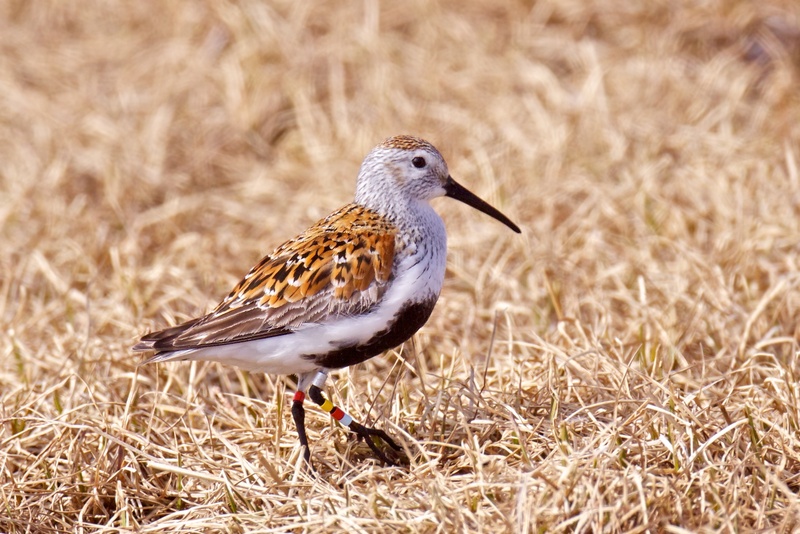 For several species of shorebirds, their entire population relies on the mudflats of the Yellow Sea as a critical fueling stop during migration. 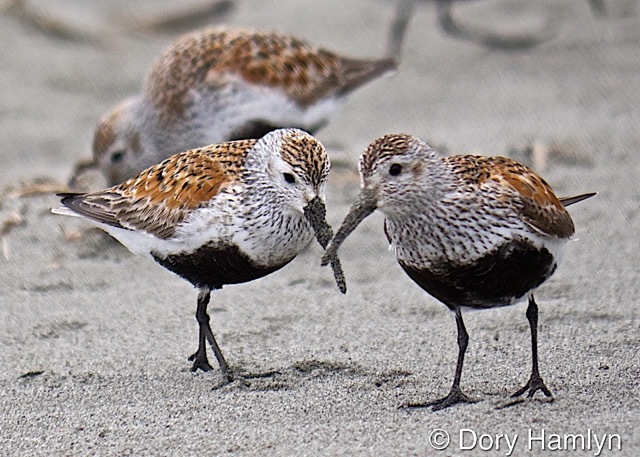 Nils Warnock, Executive Director of Audubon Alaska, explains why this habitat is so vital to the survival of shorebirds. 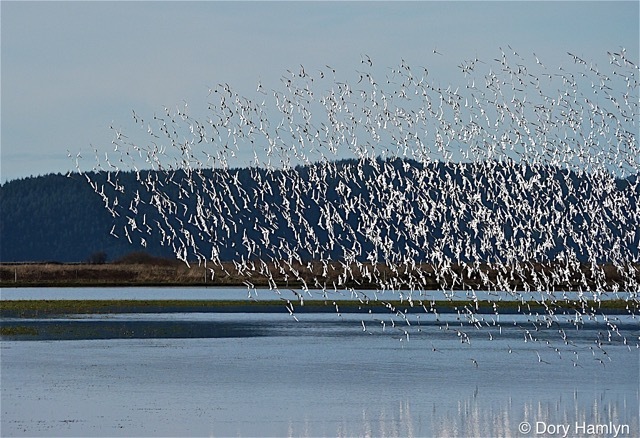 What’s happening on the Yellow Sea coast that’s hitting shorebirds so hard? “You’ve got, first of all huge population and very high human densities. Chinese especially, but also certainly in South Korea, huge economic engine burning right now. And so the cheapest place to build and expand is to go out onto your tidal flats… About 386 square miles of mudflats being filled in per year in the Yellow Sea, the equivalent of San Francisco Bay [in certain years]. 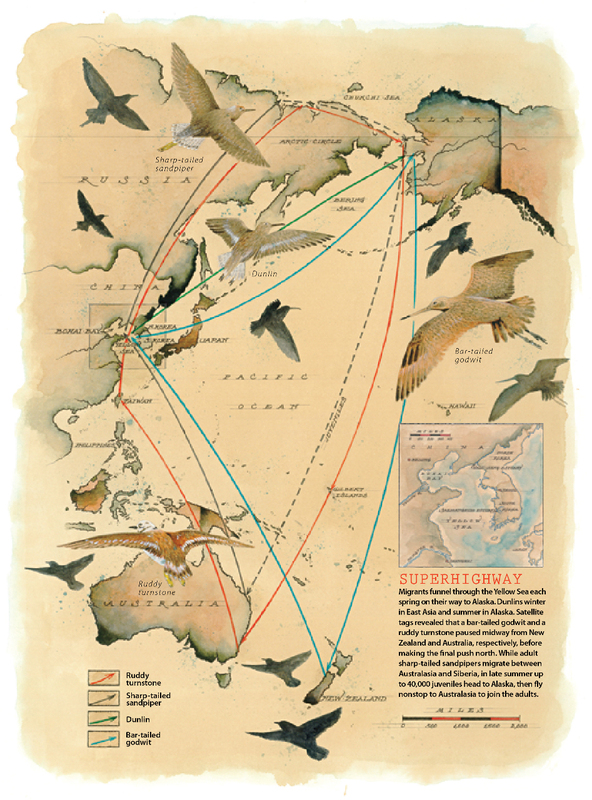 You can find links to Audubon’s work on the issue, at our website, BirdNote.org. Bird sounds provided by The Macaulay Library of Natural Sounds at the Cornell Lab of Ornithology, Ithaca, New York. 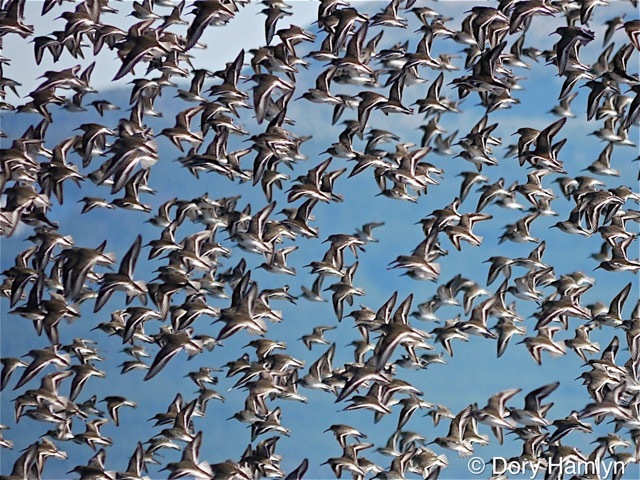 Calls of flock of Dunlin  recorded by W.W.H. Gunn. Distant surf Nature Essentials SFX #27 recorded by Gordon Hempton of QuietPlanet.com. © 2013 Tune In to Nature.org November 2013 Narrator: Mary McCann. Web users are encouraged to go to Google Earth to see how huge wetlands are being diked and filled in along the coastline of the Yellow Sea.